Hundreds turned out on Saturday, March 9th as “Samantha’s Purpose” kicked off National Cerebral Palsy Awareness Month with the Fifth Annual Walk, Run and Stroll 2K. 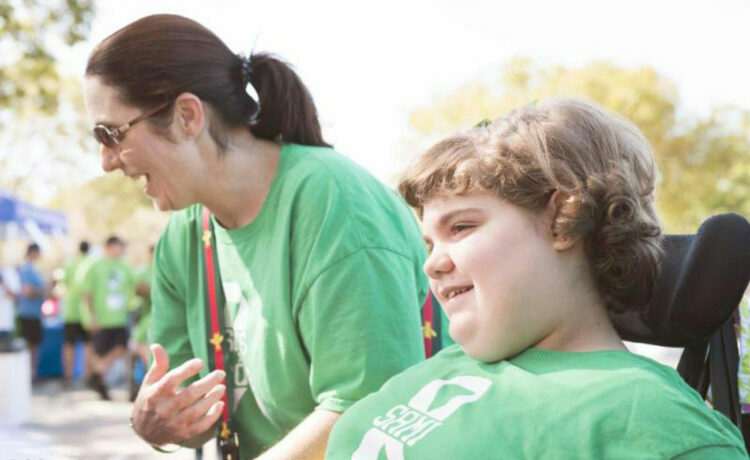 As the only Cerebral Palsy Awareness Event and fundraiser of its kind in South Florida, the event has been a profound success year after year, having provided funds to enhance the lives of those with Cerebral Palsy. With over 200 registered participants this year, the event raised $7,000. Those proceeds will be used to fund the purchase of an electric powered height adjustable adult changing table for a Family Restroom located at Coral Reef Park, making that restroom more accessible for individuals with disabilities and self-care issues. This will be the first Universal Changing Places restroom in South Florida. Apart from fundraising, the event’s other goal is to shine a light on a very challenging condition that affects approximately 1 in 323 children in the United States and is the most common physical disability in children. A special thank you to our sponsors, Haggard Law Firm, My Father Cigars, Dr. Hector Prieto Orthodontics-Main Street Orthodontics, Ryan Sports, Children’s Rehab Network, Ocaquatics Swim School, R. Plants, Inc. and Dr. Vivian Valdes and to all our Supporting Sponsors: Miami Kids Magazine, Heveez Graphics, DJ Darriel “DC” Cannon with Cannonball Youth Club, Chloe Campo Photography, CAO Bakery & Café, Youth n’ Action Adaptive Fitness, Just Ask Boo, Publix, Baptist Health, Pinecrest Gardens, and Divinely Social. The mission of Samantha’s Purpose is to raise awareness about Cerebral Palsy, provide funding through grants for programs, schools, and camps that are fully inclusive and support and improve the quality of life of children with Cerebral Palsy, provide guidance and support to families of children with Cerebral Palsy by helping them navigate the maze of insurance, government programs, education and doctors and advocate for inclusion of those with Cerebral Palsy throughout the community. Samantha’s Purpose was co-founded by Jose “Manny” Garciaand Michelle Coffey-Garcia, the parents of Samantha Garcia. This charity is their way of fulfilling a promise to their daughter, who lives with Cerebral Palsy.